Make your vegan life easy, fun and exciting with these great tips. You might have read my first post on Healthy Tips And Tricks For Your Vegan Diet a few days back. And I am sure you are still finding ways on how to make being vegan for you a great journey. The first part I have shared is just a teaser of what you can do. If you are thirsty for more useful tips, then you are definitely in luck. I myself continue to find information and tips that could help me in my vegan lifestyle. I would admit that it was a bit of a challenge when I started as mine was a change from the regular meat eating diet to the non-meat lifestyle. Although I am also used to eating fruits and vegetables, taking meat out of the equation completely was the part that had to be adjusted. So I would like to share more things I have researched and followed and have helped me up to now through my journey. Here are more of the juicy details of how to be vegan. 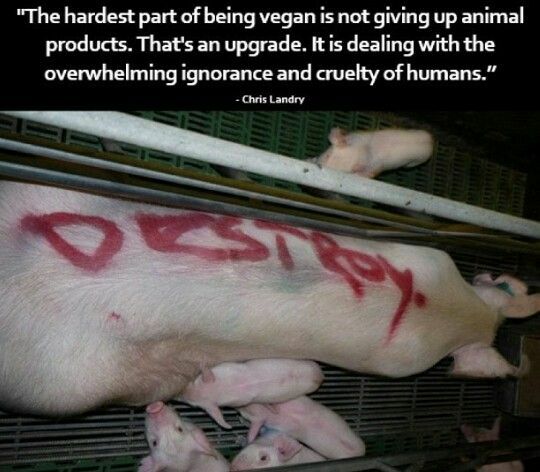 Going Vegan Doesn’t Mean Deprivation. “When you remove animal products you lose a lot of the fat and salt, which is often what contributes to the can’t-put-it-down taste,” says Kroecher. He likes to add rich, complex flavors with walnuts, avocados, pine nuts, sun-dried tomatoes, olives, fresh basil, cold-pressed flax seed oil, and unrefined grey or pink sea salt. Other ingredients to consider include nuts, dried fruits, protein powder, chia or hemp seeds, and Spirulina, a protein-dense freshwater algae. Many staples of a vegan diet like grains, beans, and nuts are cheap, and they usually store well if you buy them in bulk. Bechter also suggests you join a CSA (Community Supported Agriculture); shop at farmers’ markets an hour before closing for discounts; and visit VeganCuts.com for daily deals and discounts on vegan food and lifestyle products. You can also find more grocery shopping tips in the book Eat Vegan on $4 a Day, by Ellen Jaffe Jones, or at the site Plant Based on a Budget. Even fast-food places are starting to offer vegan options on their menus. In select restaurants, Mexican chain Chipotle serves Sofritas, a shredded, organic tofu cooked with chipotle chiles and roasted poblanos. National chain Tropical Smoothie Cafe will substitute plant-based protein Beyond Meat (which shreds up like cooked chicken) in all salads and sandwiches at no extra cost. New York-based chain Fresh & Co., which also serves the “Vegan ‘Unchicken'” says that items with it are among the most popular on its menu and even meat-eaters are opting for it. You can find other choices on this comprehensive list from PETA. Whether you’re eating out or cooking at home, be adventurous. Moran says, “Asian cuisines have tantalizing plant-based options originating from the spread of Buddhism.” She also likes Italian pastas; Ethiopian lentil stews; satisfying and spicy Indian curries; and Mexican veggie tacos, fajitas or burritos (“just hold the cheese”). There’s no shortage of great information on becoming vegan: Googling “going vegan” yields 40,900,000 results! The experts we interviewed recommended everything from blogs (Lunch Box Bunch, FatFree Vegan Kitchen) to non-preachy books (Main Street Vegan, Eating Animals) to groups that set you up with a vegan mentor (Vegan Month). Ashayla Patterson recommends, “[Start] with film documentaries because seeing real people and their stories is often more compelling than reading about the virtues of veganism.” Try Netflix instant stream options like Vegucated, Forks Over Knives, Fat, Sick & Nearly Dead. Prep a large fruit salad at the beginning of week to snack on all week. Chia seeds can be used as an egg replacer, too. Oh, and banana can also be used to replace an egg – great for baking. Cashew cheese is a savior – 1 cup cashews soaked + 1/3 c. water, 1 tsp lemon juice, salt blended. Find a milk substitute you enjoy. There are so many options! Store-bought veggie burgers are nice, but MAKE YOUR OWN! Easy + healthier. Substitute a bacon craving with tempeh bacon. Bacon bits are also SURPRISINGLY vegan – who the hell knew? If you want to never crave bacon again, you can just look at this picture and remember why you don’t. NEVER be embarrassed to ask questions at a restaurant – it’s your body, you have the right to know what’s going into it. Keep vegan snacks in your bag at all times – nuts, dried fruit, Clif bars, etc. Use Happy Cow to search vegetarian/vegan restaurants near you. Always check out a restaurant menu before you head there to have a game plan. Fries are almost always vegan (just ask what oil they are fried in and if they are fried separately from meat). Most restaurants almost always offer steamed veggies, too. Add a side of rice, and you have yourself a stir-fry. If it makes you more comfortable when eating out, simply call and ask if they have vegan options. Don’t judge others – it’s not a flattering look. Use natural sweeteners instead of white sugar, such as agave nectar, maple syrup, cane sugar, and raw sugar. Any sugar labeled Organic, Raw, Turbinado, or Beet is guaranteed to be 100% vegan. Experiment with spices to jazz up meals – instead of salt! If you mess up, don’t sweat it! Forget about it and KEEP GOING! Give Indian food a go – a lot of it is vegan! Embrace lazy dinners instead of packaged meals – fast, easy, and filling!